Christmas inflatables are a great way to go if you’re looking for something fun and festive. They’re really easy to set up and they only take minutes to inflate. 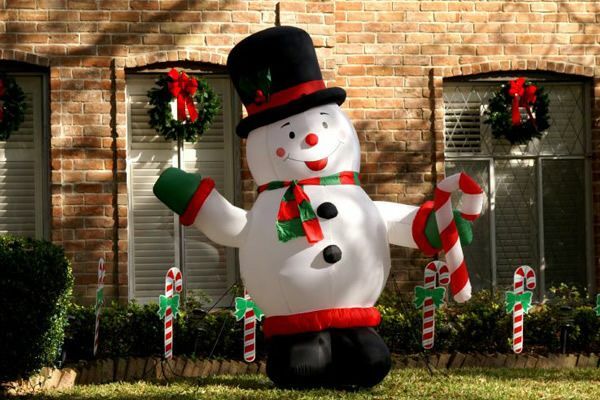 Christmas inflatables add a unique look to your yard that will make everyone want to stop and take a look. If you’re going to use some inflatables in your yard, there are a couple of things that you should keep in mind. 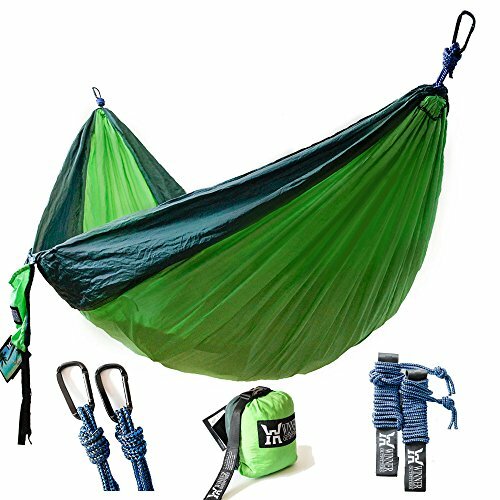 These things will help you successfully set up the inflatable and help it last for years and years. Here’s everything you need to know about Christmas inflatables. Christmas inflatables are totally waterproof so you don’t need to worry about them in rainy or snowy conditions. Imagine having to take down your inflatable whenever it snowed. That wouldn’t be a very good decoration, would it? Large inflatable decorations have a built-in fan that inflates it. You will need to plug in the decoration for it to self-inflate. 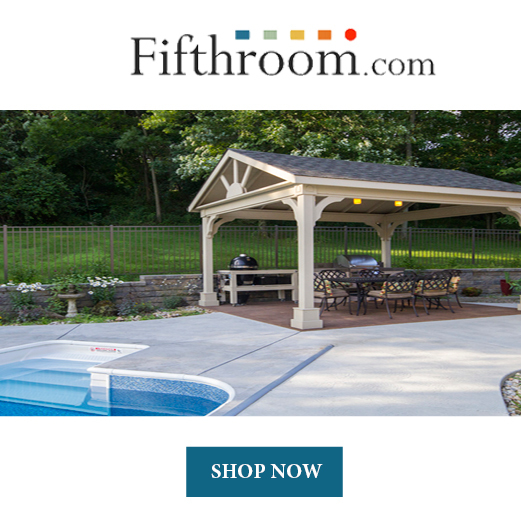 Keep that in mind when you’re looking for a place to set it up. A lot of inflatable decorations will also have the ability to light up. This makes these decorations perfect for night time. Your fun, brightly colored Christmas decorations will have a great contrast against the dark, night sky. Christmas inflatables last for years so you’ll definitely get your money’s worth if you take care of them. There are tons of different sized Christmas inflatables. Choose one that will best suit your needs. For example, if you have a big tree in your front yard and that’s the only spot your inflatable could go, you probably don’t want a huge one that will touch the branches. Make sure that the size of your inflatable is appropriate for where you live. You’ll need to find a great spot for your new decoration. 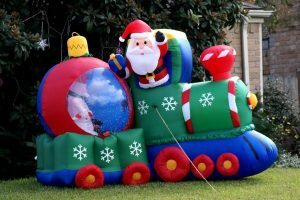 There are some things that you should keep in mind so that your Christmas inflatable doesn’t get damaged. Make sure that your inflatable will not touch any trees, bushes, or shrubs. These things could damage your inflatable by poking holes in it and causing it to deflate. You’ll also need to be sure that there is an electrical outlet nearby so that you’ll be able to inflate your decoration. 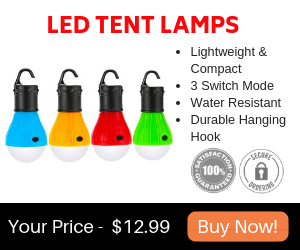 It doesn’t need to be right next to your inflatable, just in the general area so you can use an extension cord if you need to. Most importantly, make sure that your Christmas inflatable can be seen. That’s the whole point of having such a bold Christmas decoration. Do not put your inflatable behind your house, or behind a shed. Remove your Christmas inflatable from the box and remove any packaging if necessary. Do not throw away the box because it’s great to use for storage when you put your inflatable away. Spread the inflatable on the ground and make sure that the ground is clear of anything sharp, like branches, that could pop your inflatable. Next, locate any tethers or stakes that are meant to stabilize the inflatable. Put the stabilizers into the ground before you inflate it, this way it will not move or blow away while you inflate it. Once the decoration is inflated, the wind will really push against it. It’s a lot easier to stake it to the ground before the wind is pushing against it. Take a look at the instructions to make sure that you’ve done everything properly and that the decoration is facing the right way. It only takes a couple of minutes for the entire decoration to come to life. This part is very easy and super simple. Once the inflatable is staked into the ground and ready to be inflated, all you need to do is plug it in. The built-in fan will turn on start to fill up your Christmas inflatable. If your inflatable is not getting air once it’s plugged in, there’s a problem. Check to make sure that there is nothing in the way of the fan getting air. This would be debris or any obstruction. Make sure that there are no spots where air might be escaping either. This could be from a puncture or from the decoration like a zipper that is not zipped. Your Christmas inflatable needs to be plugged in in order to stay inflated. Once it is unplugged, it will deflate. How Much Electricity Does My Inflatable Use? This is a hard question to answer because each inflatable is different. Typically, inflatables don’t use very much electricity. In fact, they usually use the same amount as a string of lights that you’d use for your roof. Some people say that you shouldn’t keep your inflatable plugged in for more than 8 hours. Most inflatable owners will keep their inflatables unplugged during the day, and plug them in all night. This way you can see the inflatables light up. 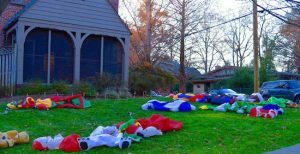 If your Christmas inflatables get dirty, they can be cleaned very easily. Simply get a damp wash rag and wipe down your decoration. Do not use harsh chemicals or cleaners, because it could damage the material. Clean and dry your Christmas inflatable before you put it away for storage, this will help your inflatable to last a long time. Small tears or holes in your inflatable can be easily fixed by sewing it with a needle and thread, or by using a little piece of duct tape. If you plan on using multiple Christmas inflatables, create a rough draft or blueprint of where everything is going to go. You’ll need to make sure that each inflatable has enough room to be totally inflated without touching another inflatable or a tree or shrub. Measure each inflatable and measure out your yard to make sure everything fits. Make adjustments to your design if necessary. Planning out where everything is going to go will make the set up a lot faster so you’ll save time. Christmas inflatables are a fun way to welcome the holidays. They’re unique, festive, and lots of fun to look at. People love seeing larger than life Rudolph, Santa, or Frosty. If you’re thinking about getting a Christmas inflatable for this holiday season, make sure you take all the necessary steps to make sure that you set it up properly and that nothing is in the way of it. Taking these steps will save you time, and money since you’ll know how to set it up properly and how to take care of your inflatable so that it will last for years to come.